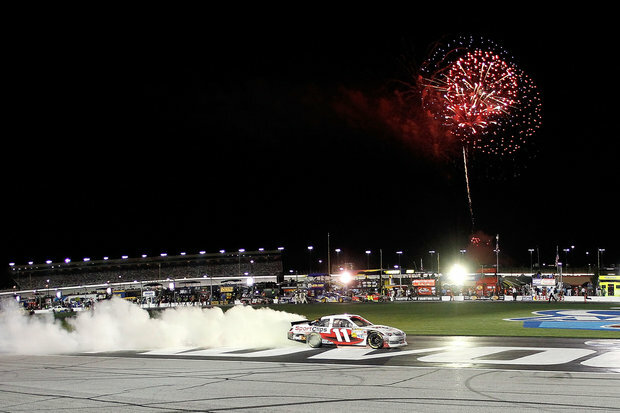 Denny Hamlin had the dominant car through out the race at Atlanta. After leading most of the race, the #11 Sport Clips Toyota started to fade at the end and was wearing out the front splitter. Luckily the pit crew made up for it by getting Denny back out front during a late race caution to set up for a green white checker win.